Please send me more information on Palmetto Hall at, Hilton Head Island Thank you. Palmetto Hall Plantation is a secured, gated community comprised of single-family, residential homes with no condominiums or vacation rentals. There are 750 acres and 523 lots. There is a very pleasant mix of architectural and construction styles, all overseen by the architectural review board and the Property Owner’s Association. Many homes adhere to the Lowcountry cottage style, with ample porches, pitched roofs, shutters and dormers and Carolina rooms. Palmetto Hall houses look and feel like homes. Palmetto Hall Plantation is a moderately priced private neighborhood with all the amenities of larger, more elaborate developments, including 36 holes of golf, tennis, swimming and social activities. Palmetto Hall is one of the few plantations on the island that allows its 500+ members to use private golf carts to travel around the neighborhood. Palmetto Hall Plantation Club is recognized as an Audubon Cooperative Sanctuary for its commitment to environmental quality by meeting required standards for protecting the environment, conserving natural resources, and providing wildlife habitats. Two championship 18-hole golf courses play from the 14,000 sq., ft., Palmetto Hall Plantation Club. The par 72, 6,918 yard Arthur Hills Course, opened in 1991, was instantly named a classic by Golf Digest Magazine, which rated it among America’s Top 10 New Courses. The course has since received a 4 star rating and is listed as one of 2008-09’s “Best Places to Play.” The Robert Cupp Course, “unique, innovative and eminently playable,” accommodates higher handicappers as well scratch golfers. Cupp, Golf World’s former Architect of the Year, opened his signature par 72, 7,079 yard course at Palmetto Hall in 1993. These are the only two courses on Hilton Head Island besides Harbour Town Golf Links to host an annual professional tournament. The expansive practice area features target greens, bunkers and a secluded short game practice area, as well as offering private lessons. Two lighted tennis courts and an oversized community pool, pavilion with outdoor grills and playground are available for residents and their guests. The stunning 14,000 square foot southern-style Palmetto Hall Plantation Clubhouse includes multiple meeting and banquet rooms for special events, as well as a fully stocked golf shop, clubhouse dining facilities, including a ‘Members Only” dining area, and serves as a convenient gathering spot for residents. Palmetto Hall Plantation offers numerous leisure clubs and activities in addition to men and women’s golf groups. Organized primarily through the Palmetto Hall Plantation Club, group activities and clubs include the arts, travel, gourmet dining, books and travel, as well as Movie Nights, Trivia Nights, holiday parties, dances, and other social gatherings. Palmetto Hall Plantation residents are also very active in the community, including participating in Rally for the Cure, Thanksgiving food drive, and their Adopt-A-Family Christmas program. Palmetto Hall is a plantation community developed by Greenwood Development Corporation, the parent company and developer of Palmetto Dunes and Shelter Cove Harbour. Greenwood designed Palmetto Hall Plantation initially for younger families seeking less expensive single-family homes set in a plantation environment with security, golf, and tennis. In early 2006, Heritage Golf Group entered into a long-term lease to operate the community. How many active real estate properties are currently listed for sale in Palmetto Hall , Hilton Head Island? Currently there are 35 listed for sale. Are there any foreclosures currently for sale in Palmetto Hall , Hilton Head Island? No, currently there are no active listings in Palmetto Hall with a foreclosure status. Are there any short sales currently for sale in Palmetto Hall, Hilton Head Island? No, currently there are no active listings in Palmetto Hall with a short sales status. What is the price range and average price for residential homes in Palmetto Hall ? The price range of the 12 listed homes for sale in Palmetto Hall is between 480K and 769K. The average price is 635K. Click here to view all residential home listings in Palmetto Hall. What is the price range and average price for residential land and lots in Palmetto Hall ? The price range of the 23 listed land and lots for sale in Palmetto Hall is between 85K and 185K. The average price is 139K. 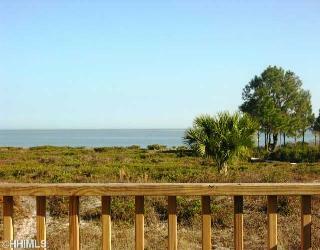 Click here to view all residential land and lots listings in Palmetto Hall. What amenities a buyer should expect to find in Palmetto Hall ? 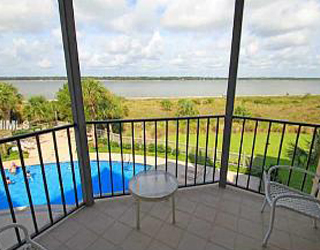 What kind of views a buyer should expect to find in Palmetto Hall ? Located on the Island’s north end, just off Hwy. 278, Palmetto Hall Plantation is one of the newer, non-resort, private residential gated communities on Hilton Head Island. 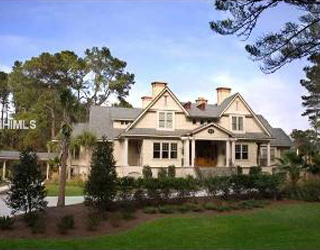 There is a traditional neighborhood feeling that centers on the Palmetto Hall Plantation Club. Palmetto Hall is comprised primarily of full-time residents, and no resort activities or short-term rentals are permitted. Its central location near Main Street shopping, restaurants, schools, churches, the hospital and the airport make it a very convenient place to call home. In addition, Beach City Road or Matthews Drive provide easy access to the parks and recreational amenities of the Fish Haul Creek area or the beautiful Folly Field beaches. Only four miles from the mainland bridge, Palmetto Hall’s location is convenient, yet off the beaten path of the popular tourist areas.